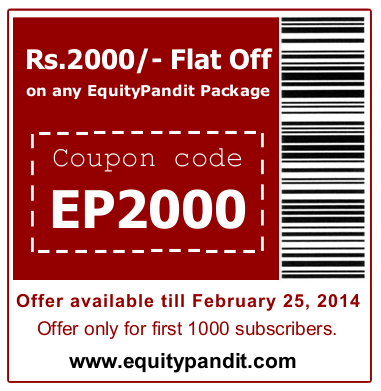 Last Trading Session: Exactly as predicted by EquityPandit, Indian Stock market opened positive. No big movement seen on Interim Budget day and market still remained rangebound. Nifty saw resistance exactly near EquityPandit’s predicted resistance levels of 6085. Sensex also saw highs exactly at EquityPandit’s predicted resistance levels of 20500. Finally market closed positive for the day. Today: Indian Stock Market to open flat. Technically, 6030-6000-5970 would act as support for Nifty spot levels whereas resistance would be seen at 6085-6105-6130 spot levels for Nifty. Breaching levels of 6105 for Nifty with volumes would force market to see further positive movements. Until then, market would consolidate. Note that Nifty had been consolidating for long and preparing for a big movement in either direction in days to come. Since, EquityPandit’s support and resistance levels always meet accuracy; hence traders are suggested to follow them for good profits. Important Q3 Results to be disclosed today: ABB India, Glaxosmithkl Phar, Gujarat Pipavav. NSE Nifty: (6073) The support for the Nifty is at 6030-6000-5970 and the resistance to the up move is at 6085-6105-6130 levels. BSE Sensex: (20464) The support for the Sensex is at 20330-20150-20075 and the resistance to the up move is at 20500-20660 levels.